It occurred to me recently that my time in Evangelicalism and subsequent journey out have a lot to do with why I find myself reactive to the spread of Woke culture among colleagues, political soulmates, and friends. Christianity takes many forms, with Evangelicalism being one of the more single-minded, dogmatic, groupish and enthusiastic among them. The Woke—meaning progressives who have “awoken” to the idea that oppression is the key conceptexplaining the structure of society, the flow of history, and virtually all of humanity’s woes—share these qualities. Two kinds of people, black and white thinking, shaming and shunning, evangelism, hypocrisy, . . . . and the list grows. Gabriel inclined his head. “Gabriella,” he said with a disarming smile. . . . .
Valerie Tarico has posted what I consider to be a first rate essay as a psychologist, not just about Kavanaugh and Ford, but about us all. And the good five are? 1. 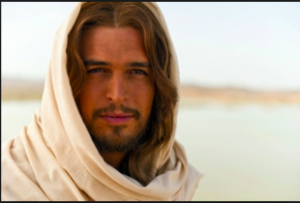 No first century secular evidence whatsoever exists to support the actuality of Yeshua ben Yosef. . . .
How did Jesus get to be so hot? 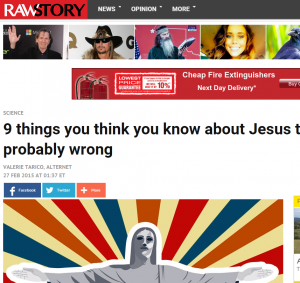 (Or the historical origins of images of Jesus and what they say about their creators and us.) This is also on AlterNet. It’s by Valerie Tarico. 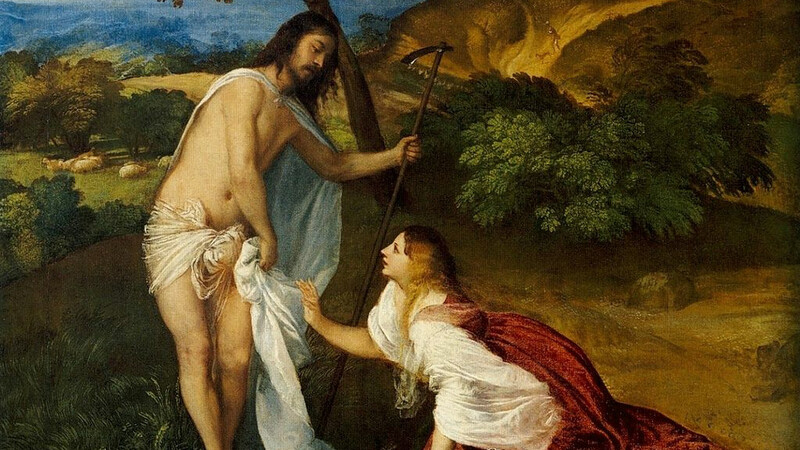 Was Jesus resurrected naked? — and is that how he appeared to Mary and the others? Though James Tabor insists the question has serious implications for theology! Yep, it’s viral . . . .
On to Salon.com — Is this going viral? 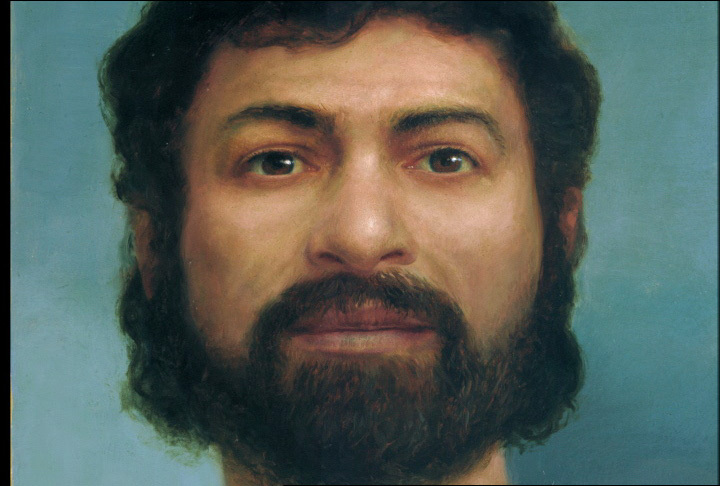 Evidence points to some startling conclusions about what the historical Jesus was like—if he existed at all. 350 comments there already. Join the queue. Correction (27 Feb 2015): I should have given priority to Alernet's publication of Valerie Tarico's article. It was published on Alternet a day before it also appeared on her blog. Valerie Tarico last September ruffled a few feathers with her article on mythicism (see Fear in the Heart of a Bible Scholar) and then followed up with an article in The Humanist outlining the views of James McGrath, Raphael Lataster and yours truly. (See Savior? Shaman? Myth? Ink Blot? — Views of Lataster, McGrath and Godfrey). It’s not about mythicism this time but it does link to four Vridar posts to illustrate some of her points. Raphael Lataster has been making his mark recently on The Conversation and The Washington Post along with the predictable response by James McGrath. Yours truly has also put in a cameo appearance now alongside these two rivals in The Humanist and on Valerie Tarico’s blog. Was there a man behind the myths? — Three Bible scholars* debate the question. 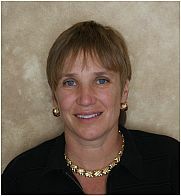 Valerie Tarico (Did she really use the R word in a public article?) 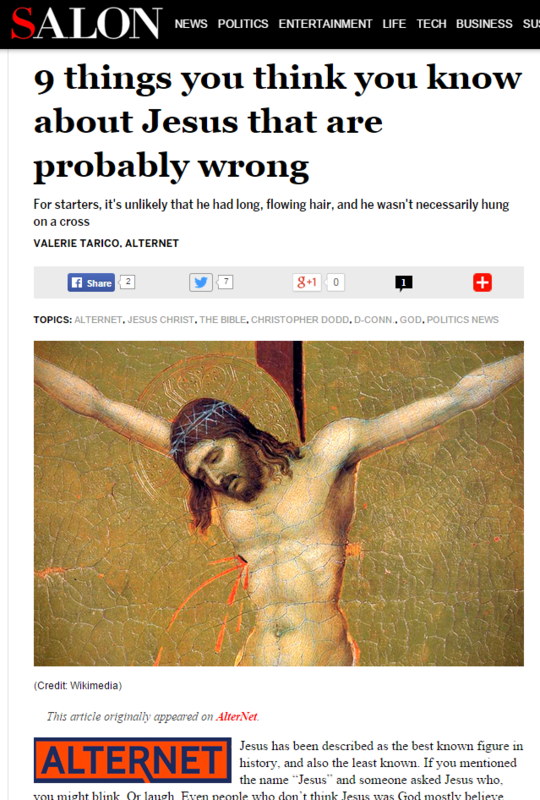 Her article originally appeared in AlterNet under a different title. The Professor of Religion who blogs at Exploringourmatrix is a widely respected source of disinformation about mythicism and mythicists. He won accolades from readers for his recent dressing down of Richard Carrier and this blog has from time to time drawn attention to some of his more remarkable triumphs in exposing just how devious mythicists really are through his manufacture of mythicist claims that can be found nowhere in any mythicist publication or website by any other readers, not even mythicists themselves.